In April, TPG Editorial Intern Nick Ellis and several other TPG staff members took a food-fueled trip to Las Vegas with Chase Sapphire Preferred and visited their Vegas Uncork’d event. Along the way, they visited The Neon Museum, a place you just have to visit while in Vegas. Read on for Nick’s impressions and why you should head to this classic Sin City exhibit. (All photos by TPG Editor in Chief Zach Honig). Neon signs occupy a storied place in the history of Las Vegas — the warm glow of these brightly blinking signs has compelled countless gamblers to step inside the adjacent casinos and spend their hard-earned cash on a few rounds of Blackjack or Roulette. With Las Vegas looking toward the future, many of these famed signs are coming down in favor of more efficient LED signs. 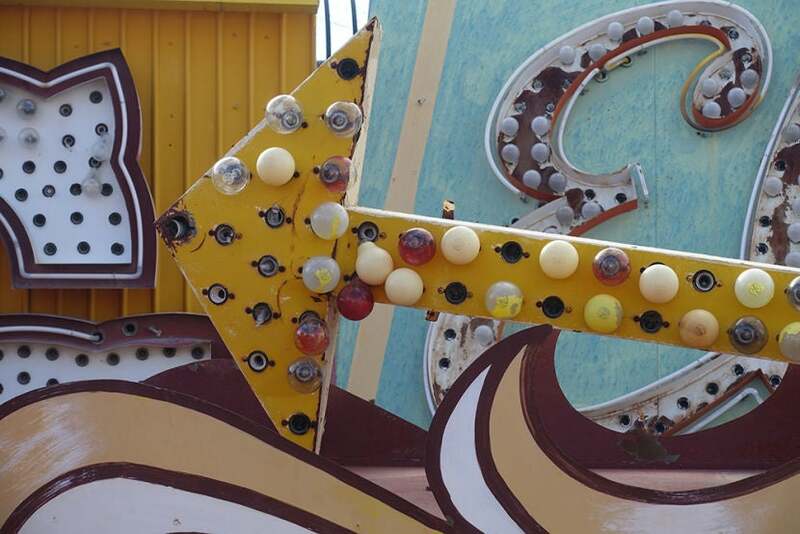 The Neon Museum is an outdoor exhibit that gives visitors a look at the Vegas of the past. The Neon Museum is a massive outdoor homage to the signs that once adorned the casinos and hotels of the Las Vegas of the past. It’s a highly recommended attraction for guests of all ages and provides a glimpse into a Sin City that not many would recognize today. Here are five reasons why you should visit this nostalgic exhibit on your next trip to Las Vegas. 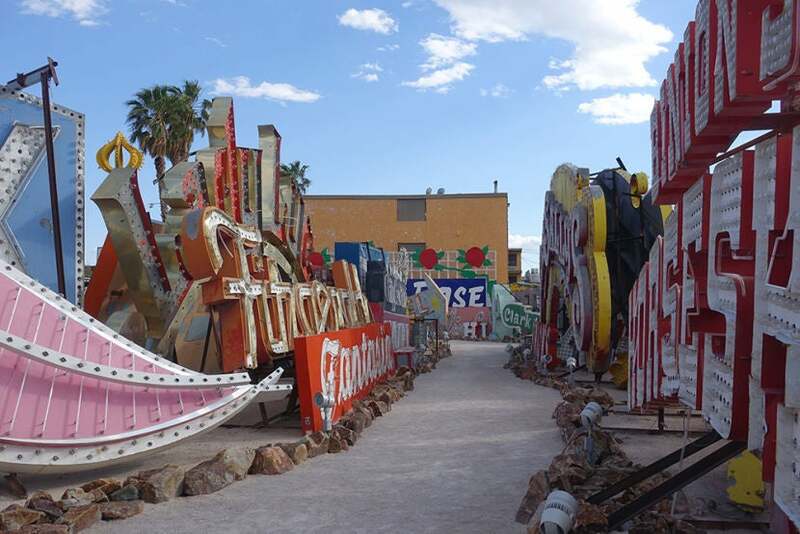 There are more than 200 signs on display at The Neon Museum. We purchased our tickets to The Neon Museum online before leaving New York, which allowed us to arrive just a few minutes before our tour was scheduled to start. There was no need to wait in line, which was a welcome change of pace compared to some of the other attractions here. Also, since it’s located off the Las Vegas Strip, you’ll get a nice break from the usual crowds and chaos. Even loyalty programs like Diners Club had their own neon advertising. Before Uber’s arrival in Las Vegas, it would have been much more of a burden to visit The Neon Museum because of the extremely expensive cab rides involved. Nowadays, more reasonable Uber prices in Sin City make getting to this attraction a lot easier — and more affordable — for families to visit. 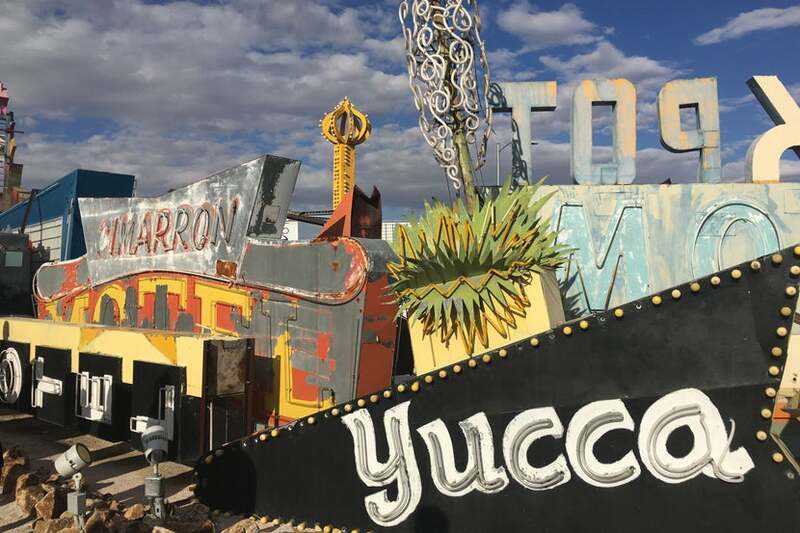 The Neon Museum is located off the Strip, but it’s easy and affordable to get there thanks to Uber. Unfortunately, many Vegas visitors don’t know anything about the city besides the casinos, resorts and bars — a tour of The Neon Museum gives you the chance to meet local residents and learn about other aspects of the city that you’d never hear about unless you leave the Strip. Our guide was born and raised in Las Vegas and shared a fun fact that few would probably be aware of: if you never leave the Strip during your stay, you actually never set foot in Las Vegas because the Strip is technically located in Paradise, Nevada. Who knew? 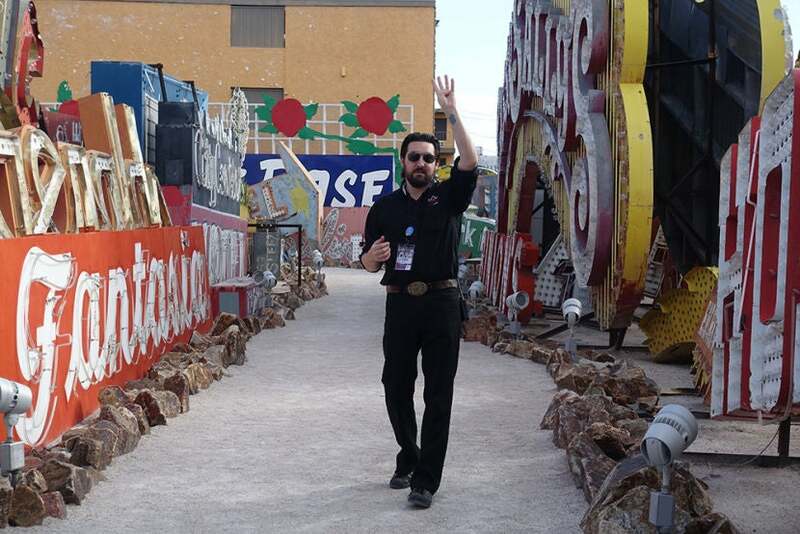 Our guide was born and raised in Sin City, and offered plenty of insights into the city’s history and all things neon. When you visit the Neon Museum, try finding the letters of your name to make a unique keepsake. When purchasing tickets to the Neon Museum — which you should always do ahead of time online since tickets tend to sell out fast! — there’s an option to buy a package that also gives you access to The Mob Museum, which contains three floors of exhibits tracing the history of the Mafia in Las Vegas. There, you can view photos, articles and other types of memorabilia that show the extent to which the Mob was once involved in nearly every aspect of Sin City life. 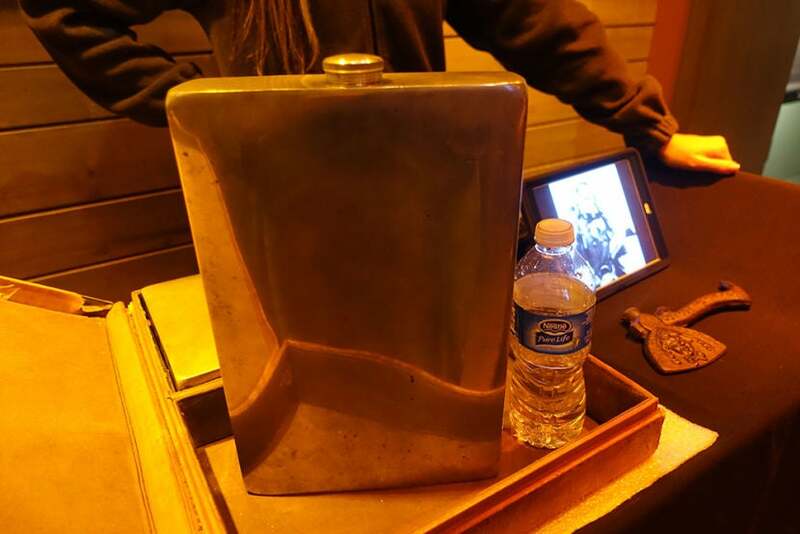 The Mafia thought of many clever ways to smuggle illegal alcohol into the city, like this giant flask that fits inside a briefcase. The Mob Museum is housed in a former courthouse where one of the Kefauver Hearings, formal investigations by a US Senate Special Committee into the role of organized crime syndicates in interstate commerce, took place on November 15, 1950. The Mob Museum is housed in the same building where one of the Kefauver Hearings were held. A visit to The Neon Museum in Las Vegas was a great way to spend an afternoon before kicking off the Vegas Uncork’d event we were in town for. It’s a fun and interesting way to learn the history of the city and hear the stories of the people who shaped it from the beginning. 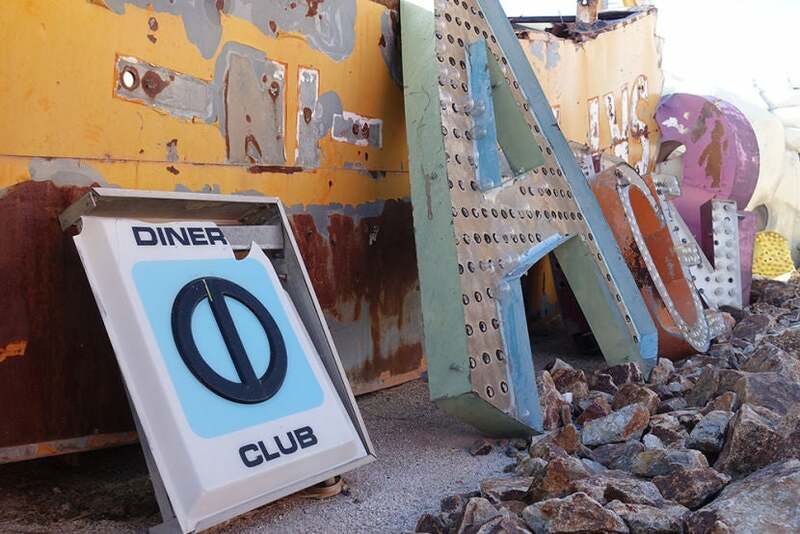 Now that it’s easier than ever to get to, there’s no reason to skip this shrine to neon signs during your next trip to Sin City. Have you ever been to the Neon Museum in Las Vegas? Tell us about it, below.